Sugar is an essential part of our daily diet. It is extremely hard to avoid it as it presents in a lot of foods. On average, we can consume around 30 teaspoons of sugar per day. However, some people complain that sugar can make them feel nauseous. Why does this happen? Sugar Makes Me Feel Sick: Why? If you feel sick after eating something sweet, you might just be overeating. When excessive amounts of sugar are metabolized, toxic acids like ketones are produced as a byproduct of metabolism. If they are produced in very large amounts, they can lead to nausea. Sugar malabsorption or dietary fructose intolerance affects nearly one third of the whole adult population in the world. This digestive disorder is characterized by symptoms like nausea, bloating, diarrhea, belching, gas, and abdominal pain after eating sugar or sugar-rich products. Sugar allergy is not uncommon. In this disorder, the body identifies the proteins found in sugar as harmful substances and produces IgE antibodies to fight against them. When people with this condition eat sugar, they can develop nausea, vomiting, abdominal pain or rash. Severe allergic reaction or anaphylaxis can happen if the allergy is severe. It can be life-threatening and immediate treatment is required. The symptoms are wheezing, difficulty in breathing and swelling of lips or tongue. If you complain "Sugar makes me feel sick" frequently, you may be suffering from type 2 diabetes. In this condition, the blood sugar levels become very high and vital organs like heart, lungs and eyes may be damaged. Other than nausea and vomiting after eating sugar, symptoms also include extreme thirst, increased frequency of urination, weight loss, weakness, confusion, cramps in legs, and in severe conditions, loss of consciousness and coma. There are many artificial sweeteners available in the market. These are great for diabetics and for people who are trying to cut back on sugar intake. However, sometimes, excessive consumption of artificial sweeteners can cause nausea, vomiting and diarrhea. Be careful and eat them in moderation. In rapid gastric emptying, the food is transferred from stomach to small intestine at a rapid pace. Simple carbohydrates and sugars are digested very quickly, and they travel from stomach to small intestine very quickly. Due to this rapid dumping of food, there can be a feeling of nausea, vomiting, cramps, diarrhea, weakness and dizziness. Sometimes, the nausea which occurs after eating sweets or consuming large amounts of sugar is not due to sugar itself. If you feel nauseous after drinking a big glass of soda, the bloating from consuming carbonated drinks may be the reason of nausea. Many sweet treats are also laden with fats which can also lead to the feeling of sickness. Pregnancy can also make you more sensitive and you can experience nausea after eating something sweet. If your nausea is mild and there may be nothing to worry about. However, if it is severe and you experience it very frequently, or it persists for a longer duration, do consult your doctor. If you have any underlying medical conditions like diabetes or heart disease, you need urgent medical advice. If there is any excessive or blood stained vomit, fever, confusion or pain accompanying the nausea after eating sweets, get immediate medical help. Sugar makes me feel sick, why? Now you know the answer, so how to deal with this condition? If you feel sick or nauseous every time you eat sugar, the best thing is to see your doctor. They can do the required investigations like blood glucose levels test and an allergy test if they are suspecting sugar allergy. Proper diagnosis is necessary for adequate treatment. When the cause of nausea is identified, you can modify your diet with the help of a dietician or nutritionist. They can suggest the right diet plan for you to fit your lifestyle and medical condition. Ginger: Ginger is very good to combat nausea. You can brew and sip some ginger tea for fast relief. Taking some fresh ginger juice with some honey and lemon juice will also be very effective to control nausea. You can also get some fresh raw ginger and nibble a little to treat nausea. Peppermint: Peppermint tea has a soothing effect on the lining of stomach and is very effective to control nausea and vomiting. Brew some peppermint tea and sip slowly if you are feeling sick or nauseous after eating sugar. You can also put a few drops of peppermint oil on a tissue or handkerchief and keep in hand. The smell will calm you down and you will feel better. Lemon: Lemon is very effective to control nausea. You can just cut it in half and smell it for fast relief. Alternatively, add some honey to lemon juice and take it. You can also take ten drops lemon juice and add half teaspoon of baking soda and sugar in a cup of water. Drink this mixture to get rid of nausea. Clove: Clove is an excellent spice to cure nausea and vomiting. You can chew a couple of cloves or brew some tea by adding a teaspoon of clove powder to a cup of boiling water. Let it steep and drink slowly. If you want to cut back your sugar intake, stop eating all the candies, cakes, sweets, brownies, ice creams and all the carbonated drinks. They are full of sugar and should not be consumed if you are on a sugar-free diet. You should also avoid all forms of sugar added to food. Many processed foods contain sugar. Be savvy and read the labels first. 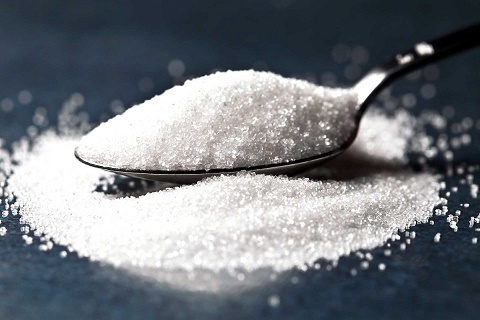 Sugar is part of many salad dressings, pasta sauces, canned and preserved food items, ketchup and marinades. Read the labels carefully and select the sugar-free version or opt for the one with lowest sugar content. White flour is very rapidly digested and if you are on a sugar-free diet, you should avoid all the products made from white flour as well. Pasta, pizza, white bread and other backed products made with refined or white flour can rapidly increase the blood glucose level. The healthy way is to swap white flour with whole grain flour. Fruit and milk contain natural sugars. They can be taken in moderation even if you are on a no sugar diet. The sugars in them do not lead to rapid increase in blood glucose levels and they also contain many nutrients such as vitamins and fiber. Do not take dairy products with added sugars and eat dried fruit and fruit juice in limited quantities.